A couple of weeks ago my hair stylist Frankie showed me an article in Grazia magazine by Tom Moggach, a food writer, journalist and founder of urban gardening company City Leaf. 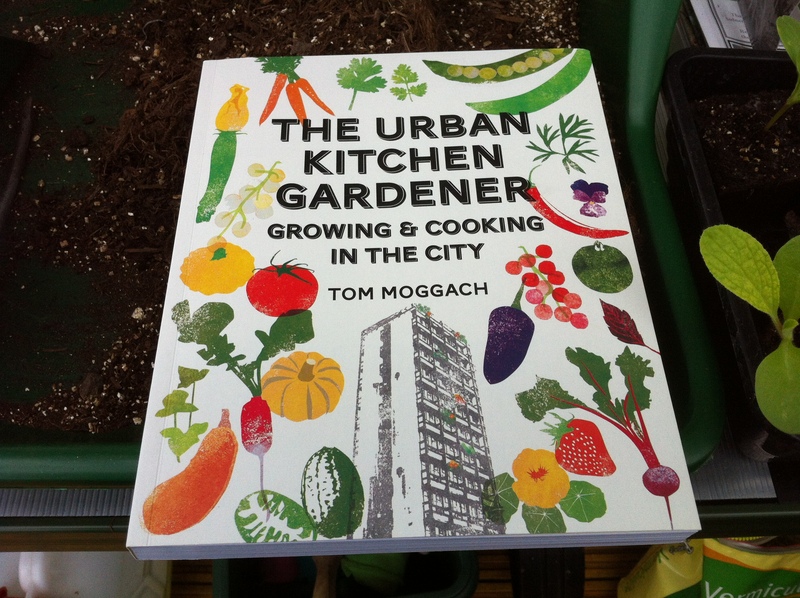 It was an extract from his book The Urban Kitchen Gardener – Growing & Cooking in The City about growing fruit, vegetables and herbs in a city or town environment with the challenges (space mainly) and advantages that brings. Straight after my appointment I dashed up to gorgeous bookshop Daunt in Marylebone to buy a copy. As well as all things you would expect to see, carrots, strawberries, lettuce etc. there are less usual things such as mouse melons and chapters on edible flowers, eggs and honey. 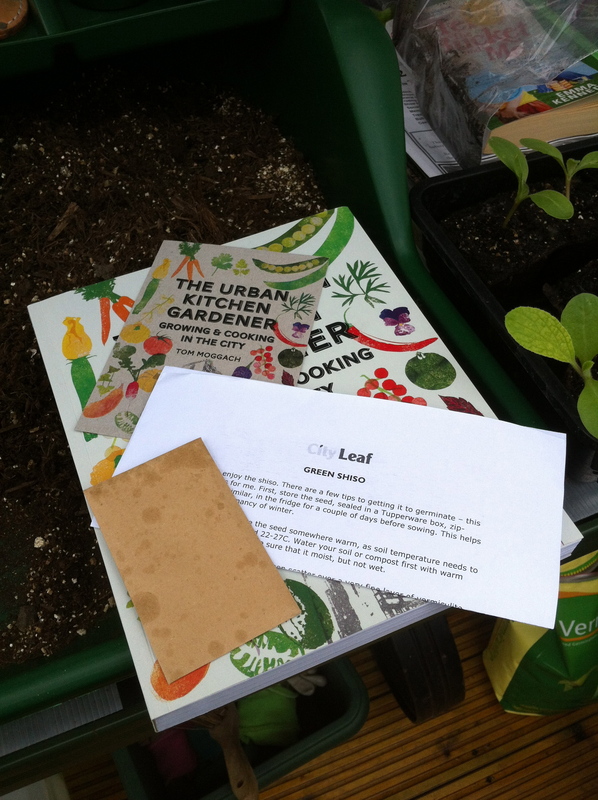 Each section comes with full cultivation instructions and recipes that are a bit different from the norm. In one of those strange twists of fate I came across Tom a couple of days later on Twitter asking if anyone would like some Shiso seeds to cultivate. Derek in particular is interested in growing different things at the plot so I didn’t hesitate to take up the offer. They arrived at the end of last week with full instructions. The starting point is to put them in the fridge for a couple of days to mimic winter and that’s where they are right now. I’ll post more on the project as it progresses.